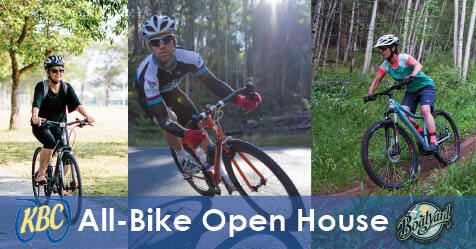 The Kalamazoo Bicycle Club is hosting an All-Bike Open House on May 14, during Bike Week. The event is open to the public and designed to appeal to cyclists of all abilities and styles. More than a dozen area cycling organizations and businesses will be there to talk about the services they provide. Local bike shops, community service organizations, and bicycle advocacy groups will be represented. The All-Bike Open House will take place on Tuesday, May 14 from 7:00 to 9:00 pm at Boatyard brewing, located at 432 E. Paterson Avenue in Kalamazoo. “The Kalamazoo community is incredibly fortunate to have so many great organizations supporting cycling and making this a great place for cyclists of all kinds,” said Doug Kirk, President of the Kalamazoo Bicycle Club. “Whether you like back roads, trails, gravel, or commuting around town – there’s cycling here for everyone, and that’s all made possible by the dedicated organizations who work to make cycling safe and available to everyone,” said Kirk.